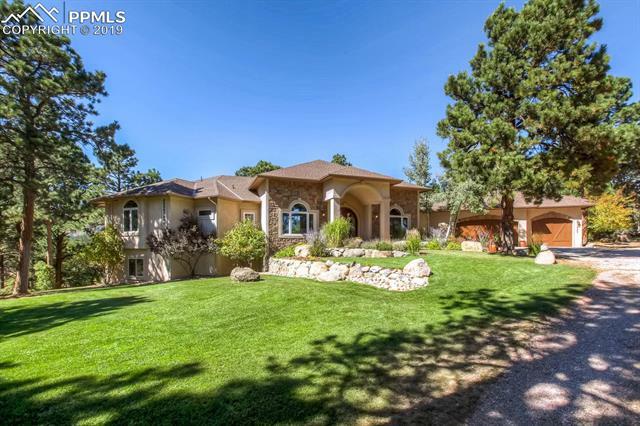 Historic Palmer Lake is an established town in the Colorado Springs real estate area known as Tri-Lakes. The town was founded in 1871 by General William J Palmer. Palmer Lake is a rural, small-town retreat in the beautiful Colorado Rocky Mountains, with the big city access of Denver and Colorado Springs. An assortment of homes for sale can be found here including older, newer, smaller and larger single family homes and townhomes. Owners of Palmer Lake real estate have access to several shopping opportunities, including local restaurants and shops both in-town and in nearby Monument. Monument offers dining and shopping opportunities in its' Downtown area and the convenient Monument Marketplace. The Shops at Briargate and the Chapel Hills Mall are to the South in Colorado Springs. The Outlets at Castle Rock is to the North. Plenty of restaurants, entertainment and recreational activities are within a short drive. Commuters find themselves at a convenient midway point for travel to Denver to the north and to Colorado Springs and Pueblo to the south. Those living in Palmer Lake also find themselves in an ideal location for hiking, biking, golfing and fishing. The Santa Fe Regional Trail along the Pikes Peak Greenway, the Fox Run Regional Park, and several nearby golf courses including Gleneagle Golf Course and Kings Deer Golf Club are close by. The grand Pike National Forest is to the west. Many activities are available through the Tri-Lakes Family Center YMCA in Monument. Nearby entertainment options available for movie-goers are the Hollywood Theatre, IMAX and Cinemark 16 Theatre . The Denver Metro area is less than 45 minutes north and the World Famous Colorado Ski Resorts are within a two hour reach. Provided courtesy of James Stiltner of Stiltner Realty, Inc.